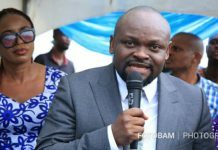 Again, Justice Okon Abang was last week in the news for his usual reason – judicial notoriety. 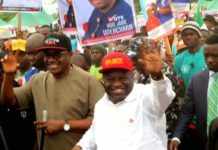 The Court of Appeal in Abuja while resolving the dispute over who was the authentic Peoples Democratic Party (PDP) governorship candidate between Jimoh Ibrahim and Eyitayo Jegede (SAN) in Ondo State descended heavily on him, describing his judgment on the issue as a fraud. 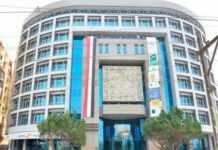 The Justice Ibrahim Saulawa-led three-member panel took turn to castigate and deride Justice Abang on how he handled the case, questioning how he arrived at his decision. They literally described him as ignorant of the law. The judge of the lower court had on June 29, 2016, delivered a judgment recognising Biyi Poroye and others as the authentic state executive members of the PDP in their various states. 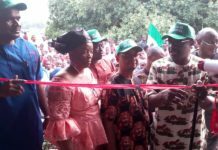 Subsequently, the judge, in a post-judgment ruling delivered on October 14, 2016, ordered INEC to drop Jegede and substitute him with Ibrahim as the governorship candidate of the PDP in the election held last Saturday. The appeal court held that Justice Abang acted without jurisdiction when he made orders against those that were not parties before him. It also faulted the order granted in favour of Ibrahim on the grounds that the governorship candidate of the Sheriff faction was never a party to the suit and the prayer asking that he be recognised as the governorship candidate was not sought by the plaintiffs. Justice Saulawa held that Justice Abang contravened judicial principles by granting an order not sought by the party. 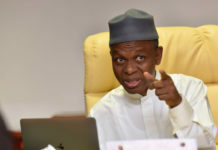 He said Justice Abang, having earlier in the main judgment delivered on June 29, ruled that the recognition he granted Poroye and others as state executive members of the party was with respect to the 2019 general election, the judge on his own, in his October 14, 2016 ruling, “targeted his orders at the November 26 governorship election. “The court mistook his robe for that of Father Christmas and was handing out orders like Christmas gifts,” he ruled. The attack on Justice Abang is not the first time his knowledge of the law would be questioned by the Court of Appeal. He is now habitual. In the last couple of months, he has acquired a reputation for his controversial orders, rulings and pronouncements which have raised eyebrows and reinforced the perception of rascality in the Nigerian judiciary. So reckless and perverse are some of his orders and judgments that many analysts are wondering why the National Judicial Council (NJC), the highest judicial organ in the country still closing its eyes to the embarrassment he was causing the third arm of government. While he was sitting in Lagos, litigants and counsel had written petitions against him over the way and manner he had handled their cases. Some of the aggrieved litigants and counsel had also had cause to openly object to his orders and disparaging the judiciary. 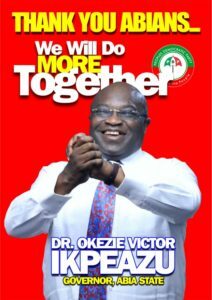 Today, many analysts strongly hold him responsible for the crises rocking the PDP. So far, he has granted a number of orders that have added to the confusion in the party. Apart from the series of controversial orders he has delivered to stop the party’s national convention, Justice Abang has also acted in a manner largely suspected to be on mission to kill the PDP by granting many orders that Ali Modu Sheriff remained the authentic national chairman of the PDP and has the authority to act and take decisions on behalf of the party against the orders of similar courts of the same jurisdiction asking Sheriff to step down. His bias and judicial blunder came to the fore when he sat on appeal of a judgment delivered by a similar court of concurrent jurisdiction presided Justice Abdullahi Liman of the Federal High Court sitting in Port Harcourt. 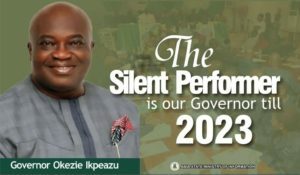 One of the most sacrilegious judgments delivered by Justice Abang was on June 27, 2016, when he ordered Dr. Okezie Ikpeazu to vacate his seat as Governor of Abia State for allegedly falsifying tax documents. He equally ordered the Independent National Electoral Commission (INEC) to issue a certificate of return to Mr. Sampson Ogah, who came second in the Peoples Democratic Party (PDP) primary election held in December 2014. But in a unanimous judgment, which lasted about six hours, the five justices of the Court of Appeal held that the trial judge was not only perverse and biased in his judgment, but that he turned the law upside down. First, the court held that Justice Abang erred in law and occasioned a miscarriage of justice against the governor when he refused to give fair hearing and that he pre-judged the matter when he touched on the substantive issues at the preliminary stage without hearing the appellant. 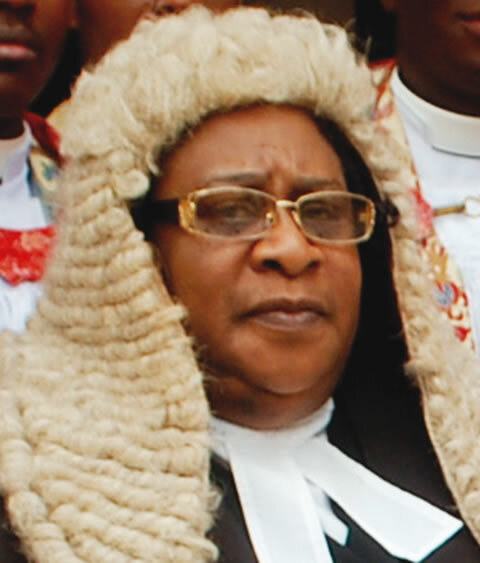 Justice Ogunwumiju, who delivered the lead judgment in one of the appeals, held that Justice Abang “committed grave violence against one of the pillars of justice” relating to fair hearing. She further held that the judge raped democracy in his order that INEC should issue a certificate of return to Ogah, when there was no evidence of forgery or criminality against the appellant. 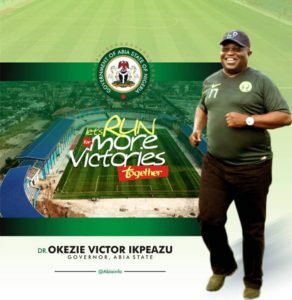 According to the court, the judgment given by Justice Abang was grossly erroneous, because it was based on inadequacy of tax receipts that could not be visited on the appellant (Ikpeazu). Justice Ogunwumiju held: “After reading through the judgment several times, I was amazed at how the trial judge arrived at his conclusion of perjury against the appellant when there was no evidence of forgery. His findings are ridiculous. The judge must have sat in his chambers, unilaterally assessed and computed the taxes of the appellant and came to the conclusion that he did not pay the required taxes. 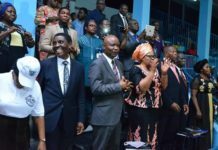 Justice Ogunwumiju also held that ‎the trial judge turned the head of the law upside down in his conclusion that it was the appellant that should bear the burden of proof of an allegation made by Ogah. “With respect, we disagree with him because it is the person that makes the allegation of falsehood that must prove it. The court erred when he imported the phrase, ‘as and when due’ into the PDP 2014 guidelines. The judge would not have imported the phrase into his findings if a copy of the PDP guidelines had been attached to the originating summons. The judge violated the party’s guidelines,” she said. For now, it is not clear how many more damage Justice Abang will do to the judiciary before the NJC takes action against. When the residences of some judges were invaded recently by the Department of State Services (DSS), not a few Nigerians were surprised that that of Justice Abang was left untouched going by the way he has brought the judiciary to disrepute. But because he is an ally of the government in power, he has become untouchable. These days, it is very common to hear people making fond of the judge when wrong decisions are made by arbiters during arguments. The last castigation of Justice Abang by a superior court has again raised some vital issues about his role and some judicial officers in destabilising the political landscape and bringing the judiciary to great disrepute. The sharp criticism also confirmed the fears of Nigerians and that the judiciary really needs thorough cleansing. This was why the Ekiti State Governor, Mr. Ayodele Fayose, called on the NJC to save the judiciary by sacking Justice Abang. Reacting to the Appeal Court judgment, Fayose said it was obvious that Justice Abang is representing the interests of some cabals. He said: “In the face of these indictments by the appellate court, the NJC must wade in and save the judiciary from Abang. Again, three justices of the appeal court descended on Justice Abang, describing his judgments imposing Ibrahim as the PDP governorship candidate in Ondo State and the one affirming Sheriff as the PDP National Chairman as fraudulent. 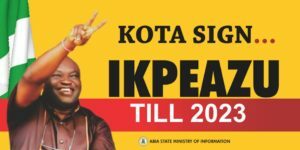 “It should be recalled that in June, a five-member panel of the court of appeal led by Justice Morenike Ogunwumiju said Abang ‘raped democracy’ when he annulled the election of Abia State Governor, Dr. Ikpeazu, and ordered INEC to issue a certificate of return to Ogah without evidence of forgery against Ikpeazu. The court went on to say that Abang embarked on a wild goose chase and that he spoke from both sides of his mouth. It is hard know if Justice Abang considers his reputation in all of this. Does he know that in the long run, he would be the ultimate loser? Does he know after a while, those trying to use him to achieve their selfish aims would desert him and leave him to personally battle his own challenge?